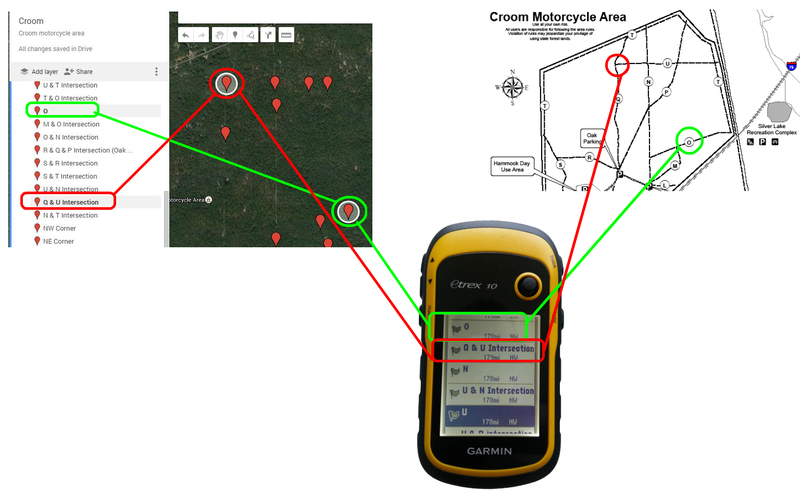 Disclaimer: This map was created in Google Maps using the map provided by the state for the Croom motorcycle area (linked below). I spot checked the waypoints myself and those that I checked were accurate. If you notice any errors, or to suggest additions or changes, please contact me at: mwolfe [at] qualitysmart [dot] com. Use at your own risk and enjoy! Download the GPX file above. Right-click and "save as" or "download file", depending on your browser.